Connect. Look for associations and links between ideas, questions, problems, and solutions, whether they’re related or not. Observe. Pay close attention to everyday details. Look for the unusual in the commonplace. Find out what other people are doing to solve their own problems. Network. Don’t surround yourself with the same group of people all the time. Make friends with experts in all different fields, and tap their brains for their unique expertise. Experiment. Try new things. Take a risk. Don’t be afraid to fail, as long as you learn something useful from the experience. 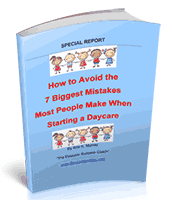 Get Your Kids Up and Moving in Your Daycare Center!